And the marks of our fetters we carried. As our good wives we left in sorrow. On the English and thoughts of tomorrow. Oh Oh Oh Oh I wish I was back home in Derry. I cursed them to hell as our bow fought the swell. Our ship danced like a moth in the firelights. Taking souls to Hades by twilight. Our comrades we buried each morning. In our own slime we were lost in a time. To live out his life in slavery. When the climate is raw and the gun makes the law. Neither wind nor rain cares for bravery. And comrades’ ghosts are behind me. A rebel I came and I’ll die the same. As one by one our hunger strikers died. You call it the law, we call it apartheid, internment, conscription, partition and silence. It’s the law that they make to keep you and me where they think we belong. And tell us who suffer the tear gas and the torture that we’re in the wrong. And the sound of the siren’s the cry of the morning. They suffered the torture they rotted in cells, went crazy, wrote letters and died. The limits of pain they endured – the loneliness got them instead. And the courts gave them justice as justice is given by well-mannered thugs. Sometimes they fought for the will to survive but more times they just wished they were dead. They took away Sacco, Vanzetti, Connolly and Pearce in their time. They came for Newton and Seal, Bobby Sands and some of his friends. And places that never make headlines, the list never ends. And the man who tells them when to come and take you to your cell. They say you can get used to a war, that doesn’t mean that the war isn’t on. The fish need the sea to survive, just like your people need you. And the death squad can only get through to them if first they can get through to you. Home to dear old Mayo, where once I roamed so free. Home at last in Mayo, beneath an Irish sky. Far away from Mayo, beneath an Irish sky. Bury me in Mayo, beneath an Irish sky. Before the island people their own destiny can choose? And we gave him 30,000 votes while in captivity. No longer can I stay. The suffering that goes on. Though instinct tells you no. Don’t call me back again. And touched his sallow face. The suffering still goes on. I am a proud young Irishman. I kept God’s and Man’s laws. My country’s wrongs were told again. And my heart stirred to the cause. Eight hundred years of crime. That is the conqueror’s way. Had spawned a trusty slave. The bully taunts the brave. Be this grim H-Block cell? Threw in some threadbare blankets…..
And the threat of violence every day…. But Thatcher will not compromise…. Death will lead to compromise…. But now – now it’s lonely and cold and it’s winter once again. – How can I tell them you’re dead? I pledged to fight for the I.R.A. We will never be defeated while Ireland has such sons. 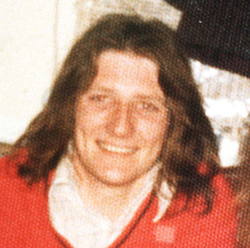 They stood beside their leader – the gallant Bobby Sands. Their names will be remembered as history unfolds. They gave their lives for freedom with Thomas McElwee. Your souls cry out “Remember, our deaths were not in vain. In the eyes of honest men. It’s then that our land will be free. And only her rivers run free. To bring back their rights were denied. And will only our rivers run free. How gentle the wind but it sighs. And still only our rivers run free. We’ll fight for we cannot fail. Our lads in Crumlin Jail. He too was a Northern Gael. They keep our lads in Crumlin Jail. They’re inside those grey walls. No fear have they for …..
They’d just as soon have died. While the blood from their bodies flowed down Sackville Street. ’Twas the voice of James Connolly, the Irish Rebel. His life for his country about to lay down. The firing party he bravely did face. On the grave of James Connolly, the Irish rebel. He refuses to wear our uniforms! But to you he’s just some mother’s son! He refuses to wear our uniforms. But to you he’s just some mother’s son. But our warriors for freedom now live in us! Hungry lips ask me wherever I go! I’ve got to know, yes, I’ve got to know. Why do your war boats ride on my waters? Why do your death bombs fall from my skies? Why do you burn my farm and my town down? I’ve got to know, friend, I’ve got to know! What makes your boats haul death to my people? Nitro blockbusters, big cannons and guns? Why doesn’t your ship bring food and some clothing? I’ve sure got to know, folks, I’ve sure got to know! Why can’t my two hands get a good pay job? I can still plow, plant, I can still sow! Why did your lawbook chase me off my good land? I’d sure like to know, friend, I’ve just got to know! To give you my money right out of my hands? Why you crave to hide so, I’d love to know! What made your cop kill my trade union worker? You’ll hafta talk plain ’cause I sure have to know! Why can’t I get work and cash my big paycheck? Why can’t I buy things in your place and your store? Why do you close my plant down and starve all my buddies? I’m asking you, sir, ’cause I’ve sure got to know!